401. 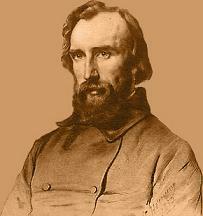 Henri Frédéric Amiel (1821 - 1881) was a Swiss philosopher, poet and critic. Born in Geneva in 1821, he was descended from a Huguenot family driven to Switzerland by the revocation of the Edict of Nantes. Losing his parents at an early age, Amiel traveled widely, became intimate with the intellectual leaders of Europe, and made a special study of German philosophy in Berlin. In 1849 he was appointed professor of aesthetics at the academy of Geneva, and in 1854 became professor of moral philosophy. “There is a great affinity in me with the Hindu genius – that mind, vast, imaginative, loving, dreamy and speculative, but destitute of ambition, personality and will. Pantheistic disinterestedness, the effacement of the self in the great whole, womanish gentleness, a horror of slaughter, antipathy to action – these are all present in my nature, in the nature at least which has been developed by years and circumstances. Still the West has also its part in me. What I have found difficult to keep up a prejudice in favor of my form, nationality or individuality whatever. Hence my indifference to my own person, my own usefulness, interest or opinions of the moment. What does it all mater? Sensing that India possessed a great richness of spiritual unity, Amiel, a contemporary of Alfred-Victor de Vigny and Victor Hugo, saw the need of ‘Brahmanising souls’ for the spiritual welfare of humanity. (source: Amiel's journal: The Journal intime of Henri-Frédéric Amiel - By Henri Frederic Amiel p. 159 161, 224. and 269 and Eastern Religions & Western Thought - By. Dr. S. Radhakrishnan p. 248). 402. Sant (Saint) Eknath (1533 -1600) Was born in a Brahmin family in Paithan near Aurangabad. Eknath was the great-grandson of Shri Bhanudas. He lost his parents at an early age and was brought up by his grandfather. For 6 years, Eknath worked for Janardan Swami (Janardan Swami, a devotee of Lord Dattatreya, worked in the courts of the Muslim king of Devgiri). He turned Eknath towards the path of Krishna. 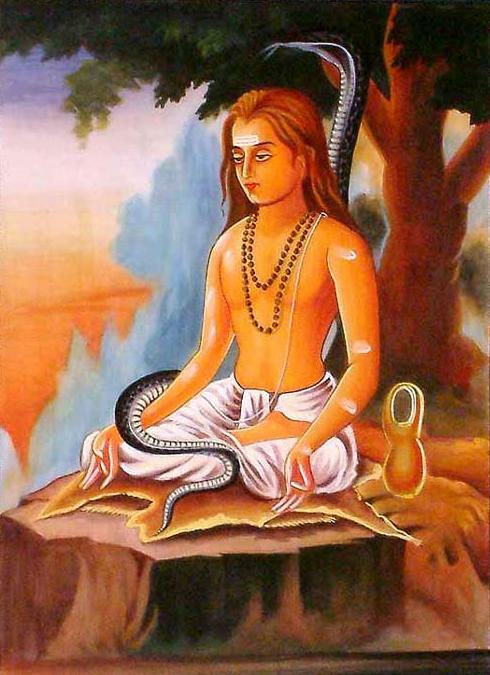 Eknath was a devout gurubhakta and wrote under the name of Eka-janardana meaning Eka of Janardana. Eknath was a scholar, fluent in Marathi, Sanskrit, Persian and Arabic. He wrote Bhavartha Ramayana, Rukmini Swayamvara, Eknathi Bhagavata and numerous abhangas and bharudas. Many incidents in his life, tell about how he fought against untouchability. He shocked the contemporary Brahmin community by such deeds. He faced their anger by holding a crying untouchable child in his arms, or serving food to untouchables instead of inviting Brahmins or giving Ganga-Jal to a dying donkey. Eknath is known as a scholar of the Bhagvata Purana. The Jnaneshwari, which is available today, is the one amended amd edited by Sant Eknath. Through lustful desires I am entangled in worldly things. Sensual things, especially love of wealth, flourished in me like twigs on a tree. But I did not remember my true good, and I neglected to think of Thee. At Thy feet, I, Eka Janardan, humbly place myself." Sant Eknath: In his meditation, he attined the state of samadhi for hours together, while a cobra would coil round his neck and spread its hood like an umbrella on his head. Lord Vishnu: "The ever perfect one, eternal bliss, being and thought - see, it is Govinda, source of ecstasy and rapture. Strength, courage, honor, and exalted spirit - see, we witness our God sharing all this." "How sweet is the curdling of liquid ghee. So blissful is the seeker, when the hidden one reveals his form. Dark is he, dark is the totally unknown and locked is the way to thoughts and words: the scriptures are silent, the Vedas do not utter a word. Not so the revealed one. How bright! How near! Our thirst is quenched if only he appears, who is so dear to our heart. The ever perfect one, eternal bliss, being and thought - see, it is Govinda, source of ecstasy and rapture. Strength, courage, honor, and exalted spirit - see, we witness our God sharing all this. If I catch a glimpse of God, my eye-sight is restored. I have escaped the net of life, the guilt of my senses is cancelled. In the light of the lamp all hidden things are made apparent - so it is when I think of my God: the god from faraway is here! (source: Religions of India - By Thomas Berry p. 53 and A Survey of Hinduism - By Klaus K Klostermaier p. 146). Theodore Stcherbatsky (1866 - 1942) Russian Indologist, has shown that Kant’s doctrine of the categorical imperative has its counterparts in Hindu philosophy, and has pointed out similarities between Kantian thought and later Buddhist thinkers like Chandrakirti. 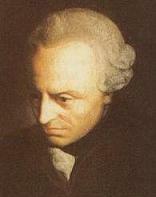 Moreover, according to Hermann Jacobi, Kant’s Aesthetics had been preceded by Indian writers on poetics. These are important parallels and strongly indicative of Kant’s familiarity with Indian philosophy. In his lectures at Konigberg University in East Prussia from 1756 to 1796, he talked about the physiography of India and the customs and manners of the people, and it seems likely that an intellectual of his genius would have gathered other information about India and reflected upon it with utmost care and competence. His observations about Buddhism in Asia and about Hindus appear to endorse the view that he had extensive and accurate knowledge of Indian thought. He said the Hindus were gentle and tolerant of other religions and nations. He was very much impressed by the Hindu doctrine of transmigration which corresponded in some respects to his own teaching about the destiny of the soul after death. Similarly, Kant’s successor, Johann Gottlieb Fichte (1762 – 1814), includes in his Amweisung Zu einem selingen Leben (Hints for a Blessed Life) numerous passages which approximate the Advaita doctrine. (source: India and World Civilization - By D. P. Singhal Pan Macmillan Limited. 1993 p. 234 – 235). French Orientalist Anquetil-Duperron (translated the Upanishads - Oupnekhat from a Persian translation of Dara Shikoh) pointed out that Immanuel Kant’s idealism had many things in common with the Upanishads. (source: The Soul of India - By Amaury de Riencourt p. 264). 404.Nancy Wilson Ross (1901 -1986) made her first trip to Japan, China, Korea and India in 1939. 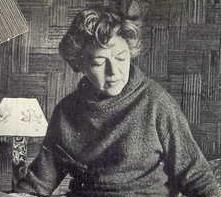 She was the author of several books including The World of Zen and Time's Left Corner. Miss Ross lectured on Zen Buddhism at the Jungian Institute in Zurich. She served on the board of the Asia Society of New York which was founded by John D. Rockefeller III since its founding in 1956 and was on the governing board of the India Council. In private life she was known as Mrs. Stanley Young. 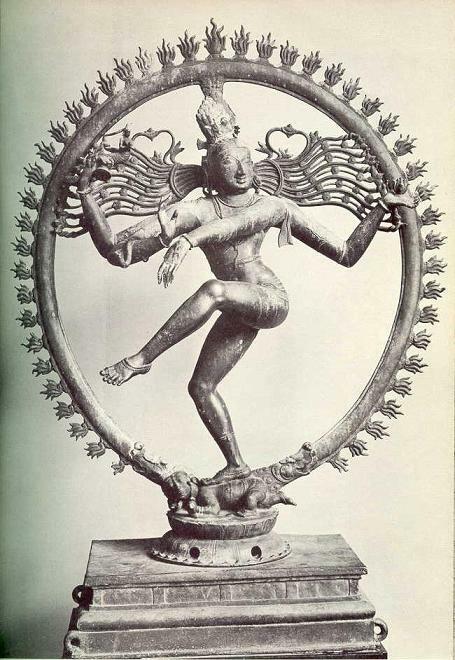 Shiva, as King of the Dancers, an embodiment of eternal cosmic energy. The great god Shiva, whose flame-circled bronze figure in the role of Cosmic Dancer gives magnificent expression to Hindu belief in the eternal dualistic creation-destruction rhythm of the universe. "Plainly, contemporary Western science’s description of an astronomical universe of such vast magnitude that distances must be measured in terms as abstract as light-years is not new to Hinduism whose wise men, millennia ago, came up with the term kalpa to signify the inconceivable duration of the period elapsing between the beginning and end of a world system. It is clear that Indian religious cosmology is sharply at variance with that inherited by Western peoples from the Semites. On the highest level, when stripped of mythological embroidery, Hinduism’s conceptions of space, time and multiple universes approximate in range and abstraction the most advanced scientific thought. Hinduism has seemed singularly able to accept the dispassionate impersonality of the All in One without crying out against it in despair, rage or rebellion. Perhaps this is the genius of this paradoxical land of so many blended cultures and people…"
"Hinduism – not only in philosophy and literature but also in art – has the capacity for immense conceptions, profound an subtle apprehensions, that can entice the imagination and stun the mind with their depth, range and boldness. The many masks of the many gods, their various appearances and incarnations, have been employed to suggest the infinitely possible variations of one supreme essence. 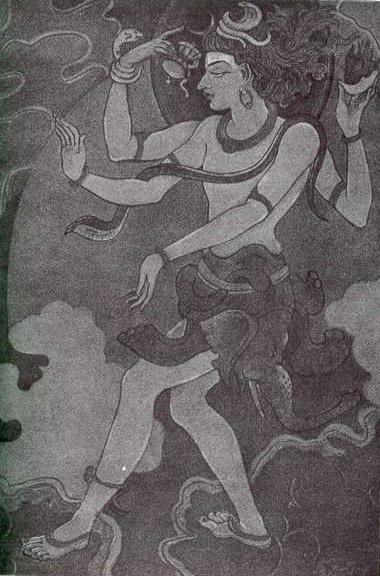 In seeking to give expression to that almost inexpressible idea of a unity which admits also of polarities, a “union beyond the opposites,” Hinduism created such arresting icons as the divine two-in-one embrace of Shiva and Shakti; or Shiva alone, half male, half female, or the two-sided figure of Hari-Hara, an expression of the seemingly “opposite” creative-destructive forces of Vishnu and Shiva embodied in one being. Shiva Vishnu - destructive and creative forces of God embodied in one being. (source: Three Ways of Asian Wisdom – By Nancy Wilson Ross p. 64 - 67 and 74 - 76). “In our main conclusion we have long ago been anticipated by the religious philosophy of India. In the West our philosophy has been surely but slowly moving to the same inevitable monistic goal. In Professor Ladd of Harvard we have a notable Western thinker who by a process of careful and consistent reasoning, concrete in character, has also arrived at the conclusion that the ultimate reality must be conceived of as an Absolute Self of which we are finite forms or appearances." (source: Is India Civilized - Essays on Indian Culture - By Sir John Woodroffe Ganesh & Co. Publishers 1922 p. 140 - 141). 406. Dr. Mahendra Lal Sircar (1833 – 1904) was not only the greatest homoeopath of his time in India, but also a great scientist. In the field of physical science, Dr. Sircar has made great contributions and was' a pioneer of scientific research in India. Dr. J. C. Bose and Dr. P. C. Ray were also inspired by him. (source: Is India Civilized - Essays on Indian Culture - By Sir John Woodroffe Ganesh & Co. Publishers 1922 p. 183 - 184). 407. 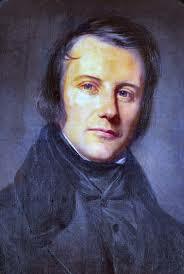 Edgar Quinet (1803 - 1875) French Historian. His first publication, the Tablettes du juif errant (Tablets of the Wandering Jew) appeared in 1823. Being struck with Johann_Gottfried Herder's Philosophie der Geschichte (Philosophy of History), he undertook to translate it, learnt German for the purpose, published his work in 1827, and obtained by it considerable credit. At this time he was introduced to Victor Cousin, and made the acquaintance of Jules Michelet. In 1839 he was appointed professor of foreign literature at Lyon, where he began the brilliant course of lectures afterwards embodied in the Génie des religions. Two years later he was transferred to the Collège de France, and the Génie des religions itself appeared (1842). (source: The Oriental Renaissance: Europe’s Discovery of India and the East, 1680-1880 - By Raymond Schwab, p. 11 New York, 1984). (source: Jean Biès, Littérature française et pensée hindoue des origines à 1950, p. 100). 408. 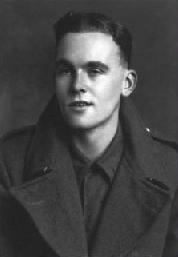 Alun Lewis (1915 -1944) was one of the few great British writers of the Second World War. His early death at the age of twenty-eight robbed Wales of its most promising poet and story writer. Born and brought up near Aberdare in south Wales, the son of a teacher, he read history at Aberystwyth and Manchester. After a period of unemployment he became a teacher in south Wales, before enlisting in the Royal Engineers in 1940. Later in 1942 Lewis's new regiment, the South Wales Borderers, travelled to India. His experiences there are recreated in the beautiful poems of Ha! Ha! Among the Trumpets and the stories and letters of In the Green Tree. After E M Forster, the only British writer, to find the Imagination physically confronted by India was Alun Lewis, whose early death in the jungle is frequently regarded as a sad loss to literature. One of his last stories, “The Earth is a Syllable” acknowledges its debt to the Upanishads both by its title and within the story itself. (Note: ‘The Earth is a Syllable’ deserves to be considered as his passage to more than India. Lewis's short story is read in terms of the Upanishad from which it takes its title and his death considered in the light of both). The story takes its title from a short and important Upanishad, the Mandukya, but it also includes a reference to the older Brihad Aranyaka, to which the Mandukya Upanishad is itself indebted. What the story shares with the two Upanishads (the two which also especially attracted the attention of Yeats) is a concern to discover the stages of enlightenment a man may pass through before his death. Perhaps the closest approach poetry has made to mysticism is to say, as does the first line of the Mandukya Upanishad, that the whole Earth is the syllable Om, a mystic utterance thought not only to be inclusive of all sound in the mouth and thus all language but to be the Logos which is creation. The Earth is a Syllable' is the story of a soldier who, as he lies mortally wounded in an unspecified part of the jungle, experiences the various stages of consciousness towards enlightenment. The opening line of the Brihad Aranyaka comes to the soldier’s mind close upon that of the Manduky Upanishad: “the dawn is the head of a horse. In ‘The Earth is a Syllable’ Lewis reveals his familiarity with both the Brihad Aryanka and the Mandukya Upanishad. (source: India and the Romantic Imagination - By John Drew p. 285 - 294). 409. Alexander Zinoviev (1922 - ) Russian sociologist and works in Russian Academy of Sciences. He has been many times in India and interested in Indian culture.
" But I would like to believe Hinduism is too valuable for humanity, and sacred Indian books contain too much precious and unique knowledge that it will not sink in oblivion. I’d like to believe that the principles of Indian philosophy and religion are much more in agreement with the needs for the future than any other religion in the world, in agreement with the tendency, known in Western countries as New Age. It’s my deep belief that without India the world will sink in spiritual darkness and ignorance." "So, what must be done in order to save Hinduism and stop the Islamic flood? There is only one way and it is called mass conversion of Muslims into Hinduism. If Hindus want to survive, they must convert. They must adopt the strategy of Catholic missionaries and Muslim mullahs. I don’t mean only conversion of one-time Hindus that only recently adopted other religions. "Hinduism must convert also people of non-Hindu origin. The fact that they live in India is enough because all Indians, notwithstanding their religious affiliation, had once had Hindu ancestors." (source: For India’s survival Hinduism has to prevail - By Alexander Zinoviev - organiser.org and http://www.organiser.org/dynamic/modules.php?name=Content&pa=showpage&pid=102&page=33). 410. Percy Bysshe Shelley (1792 - 1822) was one of the major English Romantic poets. He is perhaps most widely famous for such anthology pieces as Ozymandias, Ode to the West Wind, To a Skylark, and The Masque of Anarchy; but his major works were long visionary poems such as Adonais and Prometheus Unbound. 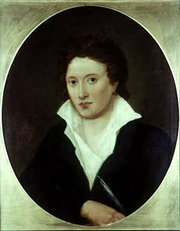 Shelley's unconventional life and uncompromising idealism made him a notorious and denigrated figure in his own life, but he became the idol of the following two or three generations of poets (including the major Victorian poets Robert Browning, Alfred Tennyson, Dante Gabriel Rossetti and Algernon Charles Swinburne, as well as William Butler Yeats). Both Percy Bysshe Shelley and his wife Mary Shelley were strong advocates of vegetarianism. In his essay "A Refutation of Deism", composed in 1812-13, and privately published in 1814, Shelley mounts a frontal attack on Christianity but declares himself "willing to admit that some few axioms of morality which Christianity has borrowed from the philosophers of Greece and India dictate ... rules of conduct worthy of regard." The Indian element in Shelley has been noticed by several critics. Sydney Owenson's novel, The Missionary, An Indian Tale, is a book that appealed to Shelley very much. It narrates the story of a Catholic missionary proceeding to India where he meets a veiled Hindu priestess who is a devotee of mystic love and Vishnu. Shelley recommended this novel to Hogg in his letter of June 21, 1811. Robert Southey’s Curse of Kehama was a favorite poem with Shelley. On December 17, 1812, Shelley ordered a list of books from Thomas Hookham. Among those supplied was a book entitled Hindu Pantheon by Edward Moor (London 1810). There is a great deal in it that would have fascinated Shelley’s imagination. The symbol of the eagle and the serpent is one of the archetypes of the human imagination. The Mahabharata begins with a long account of this myth. Moor’s book is abundantly illustrated. 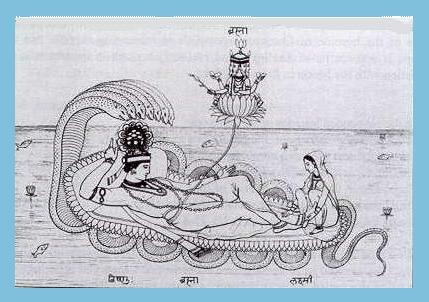 Vishnu and Lakshmi on Sesha or Ananta contemplating the Creation, with Brahma springing on a lotus from his navel to perform it. From a cast in the Museum at the India House. (image source: Vedanta and Shelley - By S R Swaminathan p. 1 - 60 and India and the Romantic Imagination - By John Drew). 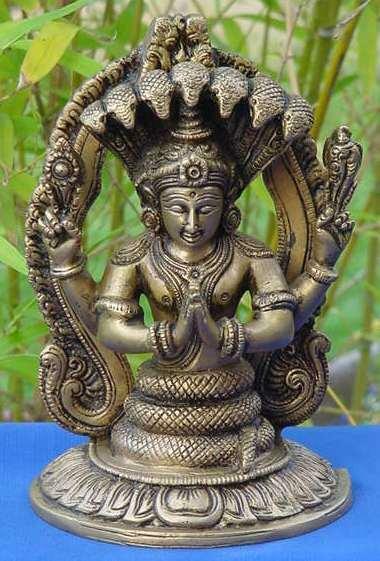 There are numerous pictures showing Hindu deities in their association with serpents as emblems of eternity. 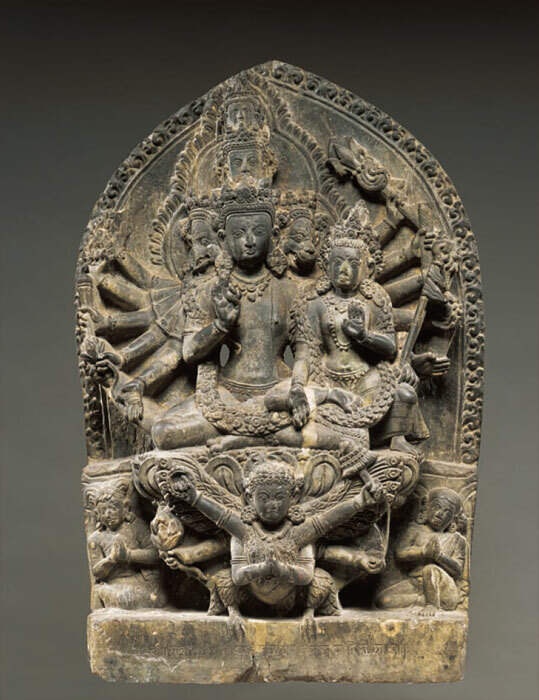 In particular Vishnu and Lakshmi are shown as Sesha or Ananta or Anantanaga – the endless eternal serpent. Seshnaga the eternal coiled serpent on which Vishnu reclines. In the Revolt of Islam, Shelley uses the serpent explicitly as the symbol of Eternity, and of good and evil in Time. Shelley had already portrayed Cythna and Laon as avatars of Lakshmi and Vishnu. 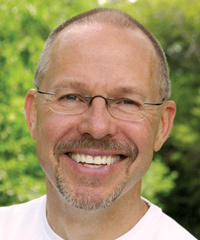 His idea of nonviolence and its Indian basis of ahimsa are discussed by Art Young in his book, Shelley and Nonviolence. 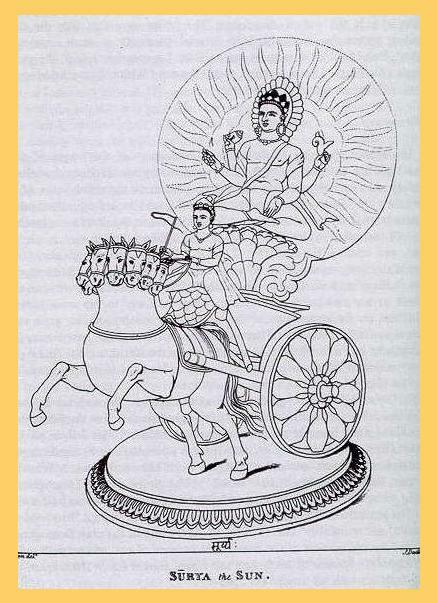 Prometheus Unbound is unique in world literature as an imaginative fusion of the Hindu and Greek branches of ancient wisdom. Its core is the identification of Prometheus and Asia with Vishnu and Lakshmi, and the philosophy of The One above the Maya of cyclical time. Following Jacob Bryant and Sir William Jones, Shelley traces all mythologies and religions to their common source in the worship of the Sun and Agni as symbols of divine light. Throughout the play Shelley uses Hindu ideas of the Yugas of time. Prometheus has suffered through “three thousand years of the hours” He prefers the idea of the cycles of the four yugas moving to and fro between the golden and iron ages in Hindu myths of periodic time to the concept of linear time. From Queen Mab to Prometheus Unbound the Hindu myth of avatars appear from time to time to restore cosmic order after its decay recurs in Shelley. 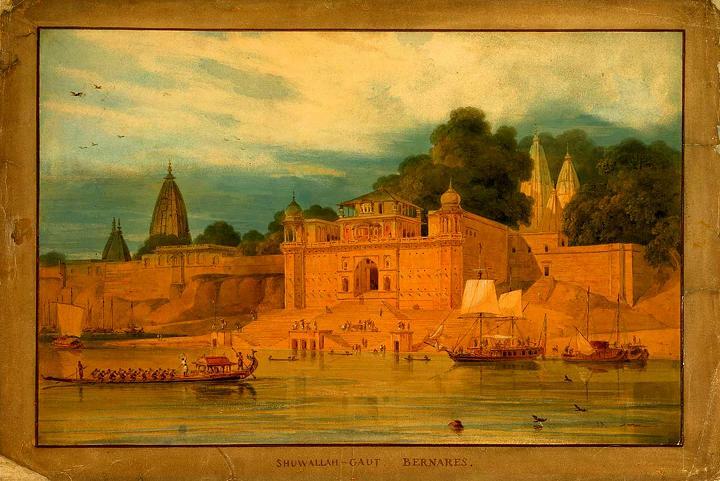 Shelley valued the finer truths of Hinduism embodied in its myths. He uses them from his first philosophical poem Queen Mab, to his last, “The Triumph of Life”, Prometheus Unbound is a sublime synthesis of the best in mystical thought and feeling in the East and the West. 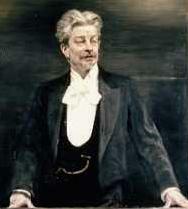 His tutor Frank Newton who converted him to vegetarianism. Towards the end of his life he desired to migrate to India. Shelley had desired to seek employment in India, and was disappointed when Thomas Peacock whom he consulted wrote to him it was not possible. (source: Vedanta and Shelley - By S R Swaminathan p. 1 - 60 and India and the Romantic Imagination - By John Drew). (Note: Even though famous for his Ode To the West Wind, (If winter comes`85can spring be far behind), Percy Byshe Shelley has an Indian connection too. A rare pamphlet containing a hitherto unread poem by Shelley, containing references to British oppression in India and elsewhere, has been discovered. The pamphlet has excited scholars, who knew that it had been searched for in vain since 1811. (source: Shelley’s India link - tribuneindia.com). (source: Is India Civilized - Essays on Indian Culture - By Sir John Woodroffe Ganesh & Co. Publishers 1922 p. p. xxxv). 412. Ranchor Prime ( ? ) was born in Leeds and has spent his life as a devotee of Krishna in Britain and India. He now works with the World Wide Fund for Nature as their Religious Network Officer in UK. He is also currently running a tree planting and restoration project in Vrindavan, India, on behalf of WWF. “The West has much to learn from the wisdom traditions of India. Having exposed most of the rest of the world to our own traditions, and having largely abandoned them ourselves, we now need to learn from others; to put aside our swords and guns, our computers and microscopes, our cars and televisions, and have the courage and the vision to journey to new territory where these seemingly indispensable aids may be of little value. Reincarnation is a good example of a teaching which has been largely ignored by Western civilization, despite the fact that it has existed in one form or another in the unofficial religions of Europe. 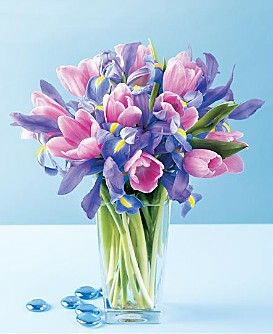 It is important because it stresses the equality of all life forms and their transience too. It does not support the human-centred culture of the West which permits human society to terrorize the animal kingdom and dominate the cycles of nature for its own convenience. Nor does it support the empire-building mania of the European societies who wanted to possess as much of the world as they could, believing that they only had one life in which to do it all. It is these attitudes that have encouraged us in our present path of industrial and technological war upon nature and the world." Reincarnation and other knowledge of the spirit is taught by the Vedas, the sacred books of the Hindus. They contain the collected wisdom of the Vedic culture, the world’s oldest living civilization, which in modern times has come to be known as Hinduism." Western civilization considers human life to be sacred, but Hindus have gone much further and said that not only human life but all life is sacred. Therefore all life forms, not just human beings, must be revered and respected. This is the reason for being vegetarian, which is ecological in the deepest sense. 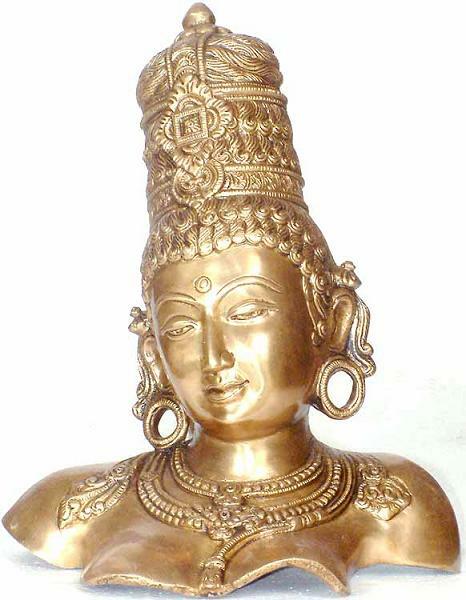 Parvati devi (goddess) - bronze. Earth is our mother, earth is goddess, earth is Kali, earth is Parvati, earth is Sita, Earth mother - and she is the home of God. Hinduism is a holistic religion. It is a way of life rather than a religion or a set of beliefs. It includes economic life, sexual life, political life - everything is part of Hindu religion. 'Religion' is a Western word, and so is 'Hindu'. A correct description is 'Sanatan Dharma'. Sanatan means eternal, and dharma means the true state. The dharma of fire is to burn; the dharma of water is to quench thirst. So 'sanatan dharma' means to find the true, everlasting state of being, the eternal path. Hindus (we call them Hindus, but we mean the Indian people) are searching for the dharma of the soul, the meaning of life. That is the quest. The Isa Upanishad says it all. Nature is sacred, all life is sacred, the whole earth is sacred. That is the Hindu contribution. Western industrial life has become desacrilised. The only sanctity left is human life. We have to push the frontier beyond human and include the whole earth. Earth is our mother, earth is goddess, earth is Kali, earth is Parvati, earth is Sita, Earth mother - and she is the home of God. (source: Hinduism and Ecology: Seeds of Truth - By Ranchor Prime p. 1 - 6 and 78). Urwick maintains that, in order to understand Plato’s Republic, we should first grasp the fundamentals of Hindu thought. (source: The Message of Plato – By E J Urwick p. 14 and 28 - 29). 414. Karl Christian Friedrich Krause (1781 - 1832) was even more strongly influenced by Indian philosophy. He praised the Vedanta particularly in his Vorlcsungen uber die Grundwahrheiten der Wissenschaften (1829), although he wrote on Buddhism, Jainism, and the Carvakas. (source: India and World Civilization - By D. P. Singhal Pan Macmillan Limited 1993 p. 236). 415. Rupert Sheldrake (1942 - ) is a biologist and author of more than 75 scientific papers and ten books. A former Research Fellow of the Royal Society, he studied natural sciences at Cambridge University, where he was a Scholar of Clare College, took a double first class honours degree and was awarded the University Botany Prize. He then studied philosophy at Harvard University, where he was a Frank Knox Fellow, before returning to Cambridge, where he took a Ph.D. in biochemistry. When he was 44, he first went to Hyderabad, India, in 1968 as a plant biologist, more than just pollen and dirt rubbed off on him. He began digging into the Vedas and Upanishads, examining Buddhist doctrine and Sufi mysticism. He learned meditation. In 1974, India became this Briton's home, and his views of biology were becoming radically altered by his Eastern musings. Eventually, he would create a science theory so wide that it carried an ethical message of being psychically responsible for our thoughts and actions. It was so deep it receded back through transcendent creation gods to a God state that reads like many Upanishadic passages. He would say in 1987, "My ideas find readier acceptance in the Buddhist and Hindu traditions of the East than in Western culture." Sheldrake saw how a subtle, trans-physical field was responsible for defining, regulating and advancing biological form and intelligence - like the akashic form-building of the Vedas. In 1978, Sheldrake entered an ashram by the sacred Cauvery River in South India. Here he extended his biological insights to include inorganic matter, formulated a scientifically testable theory and wrote a brilliant book, A New Science of Life. He called his theory "formative causation." It simply stated that the combined form and the learned intelligence/behavior of anything appearing in the universe - from an atom to man-is guided by a single morphogenetic (form-evolving) field: M-field for short. One field per new form, no matter how numerous it appears in our universe. According to Hindu metaphysics, this is precisely how the interior astral universe works. (source: Hinduism Today February 1988). He spent seven years in India where he wrote his first book, A New Science of Life (1981), while living at an ashram there. That book soon became the target of criticism among Sheldrake's peers, who view many of his theories, at best, as "unconventional." In 1968, Sheldrake went to India for three months while on his way to Malaysia to study tropical botany. Even after a year in Malaysia, he couldn't forget what he'd seen in India. "That had a huge impact on me," he says. "I suddenly saw this astonishing culture which I found completely fascinating, which had riches and depths beyond anything I had ever been taught about in England." "One of the effects of this exposure to India was to put the scientific perspective on the world that I had learned in Cambridge into a much wider context," he says. "I saw that this was one rather limited way of looking at things. I was also much influenced by Indian meditation practices, starting with Transcendental Meditation around 1970, and various other forms of meditation and Yoga over the years. This gave me a different perspective on the workings of the mind and on realms of experience I had not known about before." For the first time, Sheldrake was exposed to the teachings of Hinduism. "I was impressed by the way that Hindus relate to the land of India and the holy places, and was moved by the great variety of pilgrimages and holy animals and plants and festivals. There are so many aspects of Hinduism that link it to the land and to the natural world in India. It is also closely linked to the culture and languages of India. I realized that as an English person I could never fully enter into those aspects of Hinduism." (source: Rethinking Science - http://www.hinduismtoday.com/archives/2001/9-10/40-43_sheldrake.shtml). 416. Stephen Cope ( ? ) is a psychotherapist who writes and teaches about the relationship between contemporary psychology and the Eastern contemplative traditions. He is currently Scholar-in-Residence at the Kripalu Center for Yoga and Health in Lenox, Massachusetts, the largest residential yoga center in the world. "Here is a language that, unlike our current psychological language, is deeply concerned with the relationship between the soul and the self, the body and the soul, the divine and the human. Here is a systematic exploration of the unconscious that predates Freud by thousands of years. Here is a philosophy that understood life as archetypal pilgrimage to the center long before the New Age. Here is a psychological language not yet rendered impotent by cliché or commercialism, and, even more refreshingly, one that is uncomplicated by Calvinism and Puritanism and is free of the Western obsession with guilt and shame. " "Yoga puts our experience of enlightenment at the exact center of our being. Though we may appear separate from one another, we are no more separate than the wave is separate from the sea, or than the air in a glass jar is separate from the surrounding air. We are pervaded by and animated by the same spirit, the same nature, and that nature is constant through the manifold changes of birth, growth, and dissolution; it cannot be wounded, or separated from itself. " Sage Patanjali - author of Yoga Sutra. (source: Yoga and the Quest for the True Self - By Stephen Cope p. xii and 42). 417. Paul Utukuru (Gopala Rao) ( ? ) has a Master's degree in Physics and a Doctor of Science degree in Radiological Science. During his professional career as a medical physicist, he published widely in the field of the physics of medical imaging and radiation oncology. Since his retirement from the Johns Hopkins University in 1995, Utukuru has been active in matters related to bridging the gap between Science and Religion. His writings and lectures reflect his interests from the point of view of Neurotheology, Spiritual Transformation, Christian ethics, Epistemology and Hindu Cosmology. He is a retired medical physicist in the Science and Theology News, a French monthly newspaper. "Brahma, Vishnu and Shiva are said to be the creator, sustainer and the destroyer respectively of the universe in Hinduism. Setting aside the personified symbolism here, the idea can be seen as an extrapolation of what is observed on earth to the universe at large: birth, growth, decay and recycling are central to everything we observe in the world within us and around us. Extrapolation from the particular to the general is commonly done in science, especially physics. "Brahma, Vishnu and Shiva are said to be the creator, sustainer and the destroyer respectively of the universe in Hinduism. Pursuing this chronology further in detail, it can be shown that the present day of Brahma began exactly 5 Brahma hours, 28 minutes and 40 seconds ago as of April 1, 1986. Going a step further, they calculate the age of our present universe is 19.252 billion years, amazingly close to the modern-day estimate. Modern historians have also documented that according to some ancient Hindu scriptures, the Sun is 108 Sun-diameters from the earth and the moon 108 Moon-diameters away. The modern values for these figures are 107.6 and 110.6 respectively. Parenthetically, the number 108 has special significance in astrology and in most Hindu rituals even today. The rosaries used in many Hindu and Buddhist chanting routines contain exactly 108 beads." (source: East meets west: cosmology then and now: Eastern religious traditions can provide us with new cosmological insights if we have eyes to see them - By Paul Utukuru - June 6 2005). Refer to Ancient Hindu Cosmology and Modern Cosmology - By Paul Utukuru. In the midst of these polemics the critic began to issue the most ambitious of his works, Main Currents in the Literature of the Nineteenth Century, of which four volumes appeared between 1872 and 1875 (English translation, 1901-1905). The brilliant novelty of this criticism of the literature of major European countries at the beginning of the 19th century, and his description of the general revolt against the pseudo-classicism of the 18th century, at once attracted attention outside Denmark. (source: Main Currents in the Literature of the Nineteenth Century vol. 1. p. 126). (image source: Painting done by Thomas and William Daniell in 1789). 419. His Divine Grace A. C. Bhaktivedanta Swami Prabhupada (1896 - 1977) The founder of ISKCON - The International Society for Krishna Consciousness also known as 'the Hare Krishna' was founded in 1966. its core philosophy is based on scriptures such as the Bhagavad-Gita and Srimad Bhagavatam, both of which date back many years into antiquity. The distinctive appearance of the movement, and its culture come from the Gaudiya Vaishnavism tradition, which has had adherents in India ever since the late 1400s. When he first arrived by freighter in New York City, Srila Prabhupada was practically penniless. 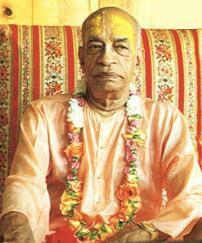 Only after almost a year of great difficulty did he establish the International Society for Krishna Consciousness, in July of 1966. ISKCON formed to help spread the practice of Bhakti yoga (the yoga of devotion). Bhaktas, or devotees, dedicate their devotion towards Krishna, who they call "The Supreme Lord" or (God); Radha, who is Krishna's divine consort; and the many other incarnations of Lord Vishnu, such as Sita and Rama. Devotees believe that the sound vibration created by repeating these names of God gradually induces pure God-consciousness, or "Krishna consciousness." The founder of ISKCON, Srila Prabhupada stated that 'Krishna' and 'Rama' are both names of God and Hare (vocative of 'Hara' and pronounced "ha ray") refers to God's Energy or 'Shakti', known as Srimati Radharani. 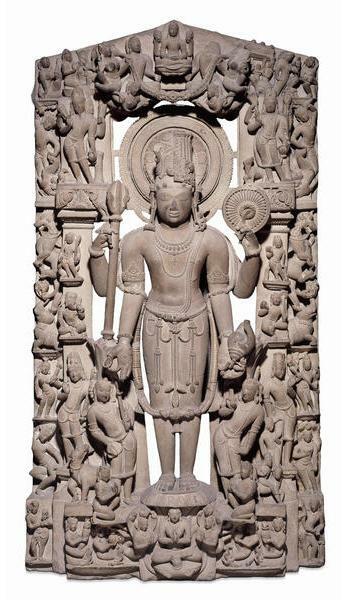 Lord Vishnu - Vaikuntha from Nepal. The distinctive appearance of ISKCON movement, and its culture come from the Gaudiya Vaishnavism tradition, which has had adherents in India ever since the late 1400s. 420. Jean-Pierre Lehmann is professor of International Political Economy at IMD — a leading international business school, based in Lausanne, Switzerland. He also is an adviser to WTO Director General, Dr. Supachai Panitchpakdi. 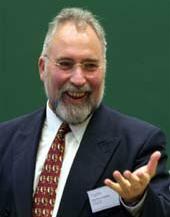 Mr. Lehmann studied in Japan, Switzerland, the United States (Georgetown) and received his doctorate from Oxford. He eloquently talks about the dangers of Monotheism in the Age of Globalization. As Jean-Pierre Lehmann argues, monotheistic religions have caused much turmoil throughout history - and continue to do so today. What is needed is a new global ethical and spiritual role model, and in his opinion, the best candidate to fill that spot is India. (source: The Globalist.com - Global Development Thursday, March 30, 2006).